In the present scenario, it is imperative to use maintenance pages or under construction pages on your blog. 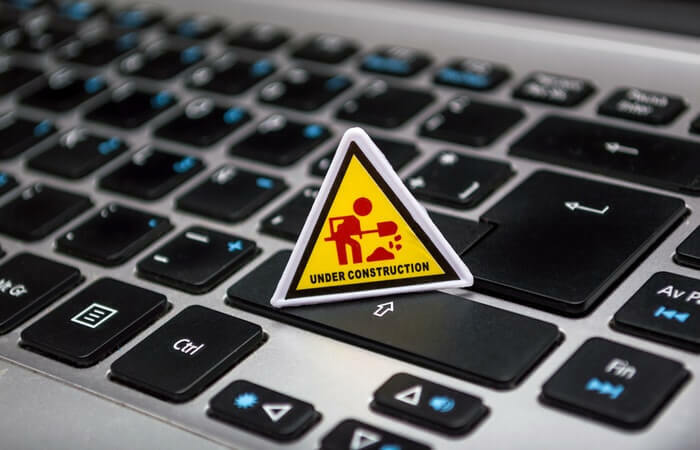 Earlier people used to do the coding from scratch to show a maintenance page, but with the availability of UnderConstructionPage for WordPress, you can finish the under construction set up within a couple of minutes. UnderConstructionPage is beautiful and your visitors will love to see it. You are working on a design. In that time, you cannot leave your domain empty. You may be fixing some runtime errors and it may take several days to finish the task. This is the right time to consider an under construction page. Many people ask me is an under construction page responsible for negative impact on the website? The answer to this question is a clear ‘NO’. If you are running a website for several years, you have developed a strong bond with your audience. They trust you and they do not expect downtime of your website, neither do they want to see a broken site. However, there are several instances when you have to complete the maintenance task. You have to fix a runtime error or maybe you want to give it a new look. Unfortunately, you may get hacked. At this time, experts will fix the issue, but you cannot neglect your loyal visitors. Showing under construction page is the best thing you can do to stay in touch with your visitors. This provides you a chance to show your apology, you can also mention the coming soon products and other relevant information. This plugin will help you upload your logo and add images effortlessly. By posting the images before the product launch is a genuine way to promote your coming products. Instead of people seeing your broken site, this page will let them feel that you want to stay connected. This plug-in is ready to use, simple and user-friendly. You will get social media icons and Google analytics support with this. You will find it simple and beginner friendly. You just have to drag and drop. You may find it difficult to find the images of your choice. Here you will get more than four lakh searchable images in HD quality. You do not need to pay a single penny for this, as they are royalty free and there are more than 400,000 of them. You will get traffic tracking and fast support. You will also get a newsletter module and countdown timer along with this. In case you find it difficult to believe that all these features are available in a single package, then shoot us an email. A couple of years back; it was a cumbersome job to create a maintenance page. First, you were supposed to choose a WordPress theme so that it can handle the things to facilitate the entire process designing. Now you do not need to be a designer or have the knowledge of programming language to build a custom page. This is a free under-construction page plugin to show that your website is in maintenance mode. How to Use Local SEO to Get International Clients?